Today, October 28th, Greece is celebrating ”OXI” DAY (literally means NO DAY), a day when Greek government said NO to Italy’s request to station Italian troops in Greece during World War II. Expect an annual white&blue parade nearby the Parliament. Also archeological sites and museums will be open with FREE ADMISSION! Happy OXI Day Greece!! Street Party at our neighbourhood >>> Psirri! Live music, theatrical performances, painting exhibitions. NYE Party @ AthenStyle Rooftop Bar! 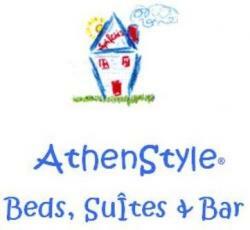 As every year we are going to say Bye Bye to the Old Year and welcome the New One @ AthenStyle Rooftop! Get ready and stay updated! More details soon!